Last week I introduced you to a collaboration for the month of October called Favorites, Repeats, and Staples. I've been styling and restyling six looks for the week using current pieces from Tulip to create fall fashion inspiration and a collection that can be worn all month long! 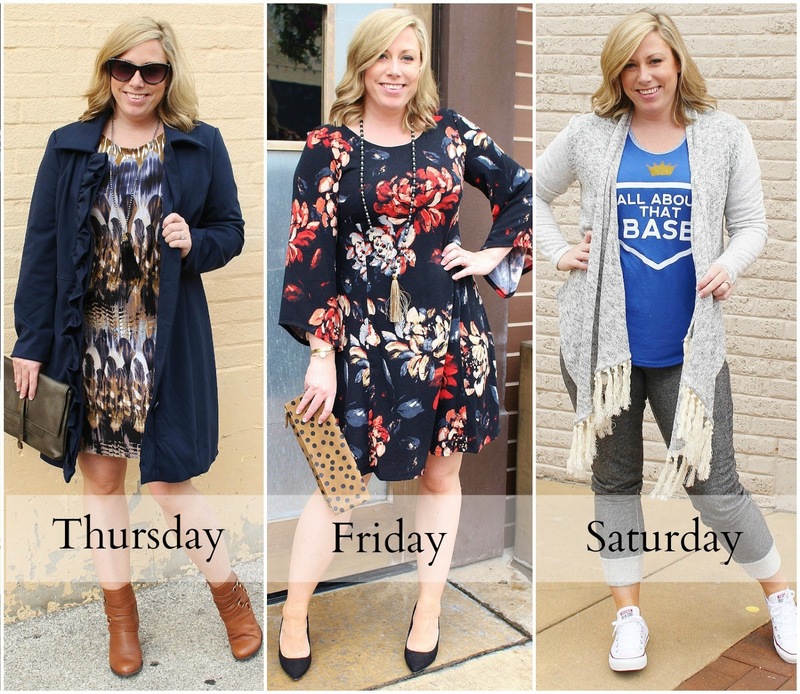 This week's styled looks for the series are posted on Tulip's Facebook page! I loved creating the week two collection! 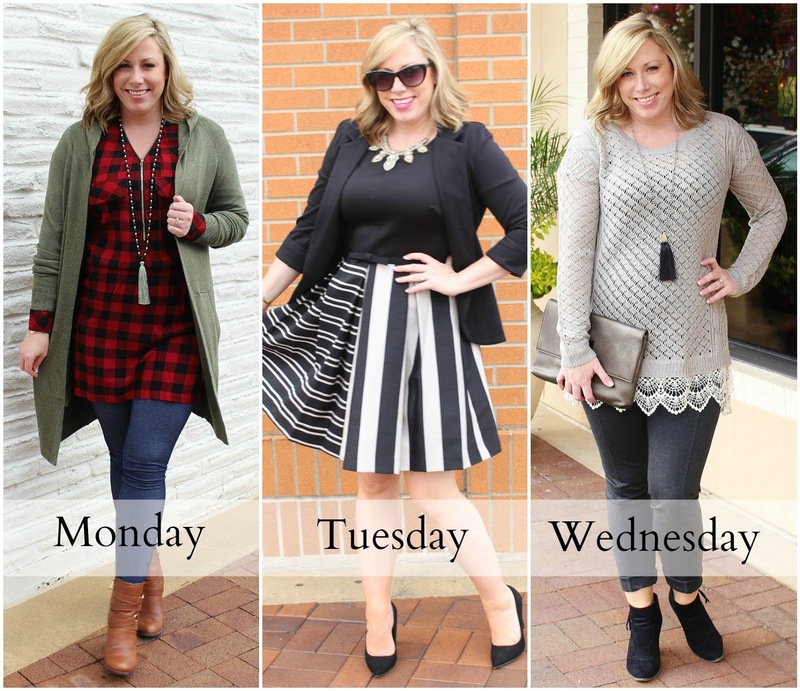 Here is your day seven style challenge...You are going out on the town with the gals, what outfit would you wear? Comment on the Facebook post and we will select one lucky winner on Tuesday! They will get to choose one item from the day seven style to add to their closet! Whoohoo!! !